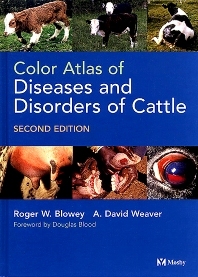 An expanded version of the first edition, this new edition serves as an illustrated text covering the diseases and disorders commonly encountered in cattle. Unlike the first edition, this version now includes treatment of those conditions and management algorithms. Extensive color illustrations make this a must-have for students and practitioners alike. Each chapter consistently presents etiology, diagnosis, differential diagnosis, treatment, and possible complications. A discussion of issues relevant to the cattle industry is also included. Extensively illustrated with 752 mostly color illustrations. Consistently presents etiology, diagnosis, differential diagnosis, treatment, and possible complications. Covers the broad spectrum of diseases and disorders commonly associated with cattle.